Singapore, Seoul (BCWW) – Sep 3, 2018: Bomanbridge Media, a Singapore-based content distribution and production agency recently announced the sale of over 200 hours of content with key korean channels KBS, EBS, CJ ENM English Gem, JEI TV, and more in the lead up to BCWW market on 5th September 2018. Public broadcaster KBS picked up multiple documentaries such as Baby Animals In The Wild and Queen Of The Hunt while EBS selected Secret Lives Of Owls and the award-winning animated series Oddbods Season 2 (60×7’) by One Animation. Riding on the success of Oddbods, SkyTV and Kids1TV also both acquired Oddbods 5 minute shorts. CJ ENM new English-learning channel GEM picked up 30 hours of kids live action and animation content, including iconic Care Bears™ series Care Bears: Welcome To Care-A-Lot (26×30’) from Cloudco Entertainment (former American Greetings Entertainment) and Scout and the Gumboot Kids Season 2 and 3 (50×5’) from Sinking Ship Entertainment. 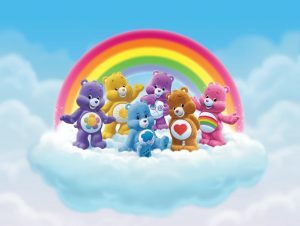 Targeted at preschoolers, Care Bears premiered on GEM’s opening weekend launch with fantastic response as part of their Children’s Day special, and Scout is scheduled to air in August 2018. “Bomanbridge is pleased to see the growth of activity in South Korea. We are well placed with our extensive distribution reach to work with these platforms and we expect the 2018/2019 fiscal year to bring further fruitful projects on content IP. Despite the popularity of their local korean content, we managed to maintain a curated catalogue which spoke to the Korean audience.” said Sonia Fleck, CEO of Bomanbridge Media.